Please subscribe to SPES’ teacher newsletter to stay up to date with our latest programs. 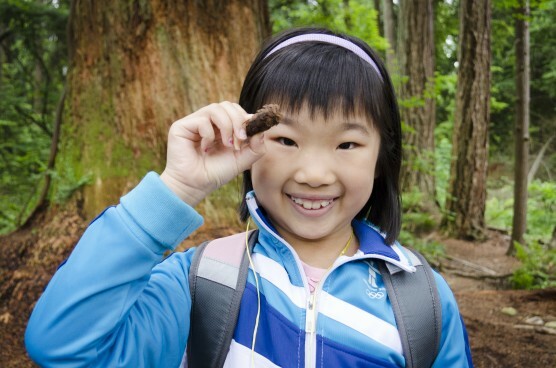 Discover Stanley Park’s wild side as your students roll up their sleeves and connect with nature in hands-on and interactive programs exploring forest, beach and wetland ecology. We offer a diversity of curriculum-based school field trips for kindergarten to grade 7 students. Looking for a high school program? Email us an inquiry. See below for a full list of current half-day field trips. Interested in a longer experience? Consider SPES’ two-day, one-night curriculum-based camping program Nature Ninjas. Suitable for grades 4-7. Limited space available, only from April – June. You can reserve your program online, or by calling 604 257-6907. Discount available for class sizes of 15 or less. Extra fees required for class sizes greater than 25. Discover the hidden secrets and stories of the forest in this sensory journey through nature. Awaken your senses as you explore the temperate rainforest. Find tiny life forms with magnifiers, meet bugs, feed trees, and transform into a bat while learning how all of these forest elements are connected. One-and-a-half-hour program for students in grade K-3. 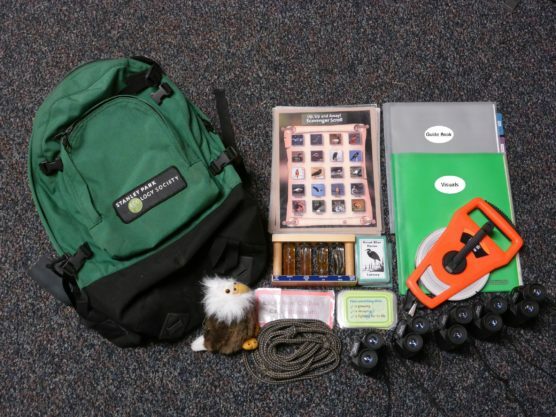 Can be adapted for pre-K.
Read the Nature Detectives Teacher Information Package for information on curriculum connections, meeting location and preparing for the program. Discover the amazing ways that plants and animals have adapted to the Earth’s natural cycles. In this program we will look at seasonal shifts and changes, the impact the sun and moon have on Earth, and the metamorphic life cycles of animals. We will learn how these cycles impact our lives, and how we can help preserve these natural cycles. Grade 2 and 3 students will dive into the water cycle to discover nature’s way of recycling water. Kindergarten and grade 1 students will focus on the interconnectedness of living things, as we see how nutrients are cycled through a community. This is a one-and-a-half hour program for students in grades K-3. Read the Seasons and Cycles Teacher Information Package for information on curriculum connections, meeting location and preparing for the program. Discover the many wonders of the only mammal that can fly. Find out how bats live, hunt, echolocate and adapt to their habitat using their unique bodies. Because bats are nocturnal, we will not see any live bats during the program. Instead, we will explore their habitat with unique props and activities. 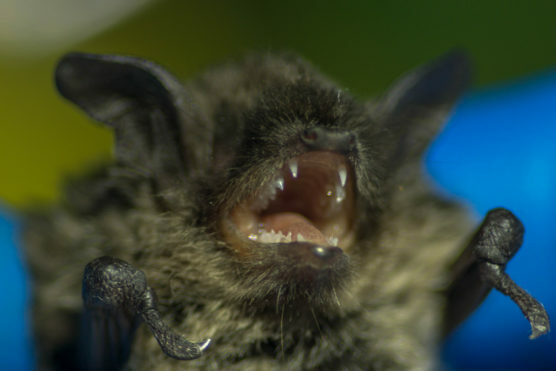 Bats really are beautiful; learn why in this interactive forest adventure. One-and-a-half-hour program for grade K-3. Read the Beautiful Bats Teacher Information Package for information on curriculum connections, meeting location, preparing for the program and more. Pre-trip and post-trip lesson plans in development. Visit the Lumberman’s Arch beach at low tide and explore the incredibly diverse and abundant life in the intertidal zone. Low tide offers us a glimpse at fascinating animals and plants that have adapted to life in and out of the sea. Hunt for crabs, sort seaweeds, and find out what else lives or eats on the seashore, while students discover important human connections to the oceans. Beach Explorers is a tide-dependent program and is available in spring between April and June. Please contact us for available dates. For grades K-3, Beach Explorers is a one-and-a-half-hour program. For grades 4-7, Beach Explorers is a two-hour program. Read the Beach Explorers Teacher Information Package for information on curriculum connections, meeting location, preparing for the program and more. 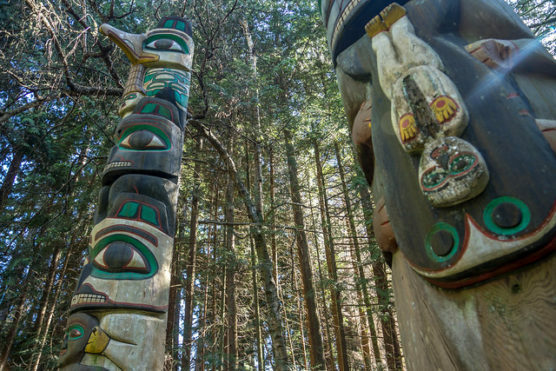 Discover Spapayeq (Stanley Park)—the traditional, and unceded land of the Musqueam, Squamish Nation, and Tsleil-Waututh First Nation people. Walk through the forest and bathe in Coast Salish knowledge of cedar and hemlock, learning through storytelling. Continue the walk down to Xwáýxway (Lumberman’s Arch) beach at low tide and explore the incredibly diverse and abundant kelp forests available in the intertidal zone. The exploration continues along the seawall up to Axachu7 (Beaver Lake) as you learn about the edible, medicinal, and survival uses of plants as well as the traditional and present-day Indigenous relationships with local flora and fauna. While there will be no plant collection on these educational walks, Spapayeq offers a perfect setting to learn about sustainable harvesting. Join us on this informative program to learn about local ecology from a West Coast Salish First Nations cultural perspective. For grades K-3, Indigenous Plant Use is a one-and-a-half-hour program. For grades 4-7, Indigenous Plant Use is a two-hour program. For grades 8-12, Indigenous Plant Use is a two-hour program. The lush temperate rainforest is diverse, abundant and full of interconnected species. Engage all of your senses to piece together the story of forest dwelling plants and animals and their important roles in the web of life. Two-hour program for students in grade 4-7. 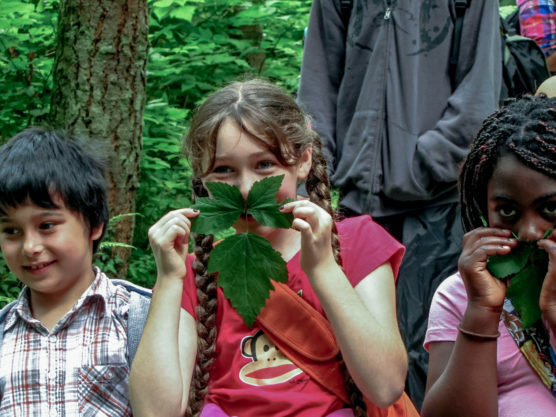 Read the Forest Fundamentals Teacher Information Package for information on curriculum connections, meeting location, preparing for the program and more. Beaver Lake is one of Vancouver’s last natural wetlands, and it is home to incredible plants and animals. What makes the wetland ecosystem a good place to live? How do diverse communities of animals eat their way along the food chain? 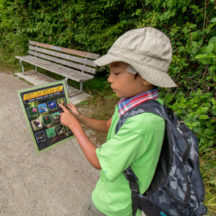 Roll up your sleeves and explore Beaver Lake wildlife up close with dip nets, magnifiers and games. Two-hour program for students in grade 3-7. Best suited for grade 3. 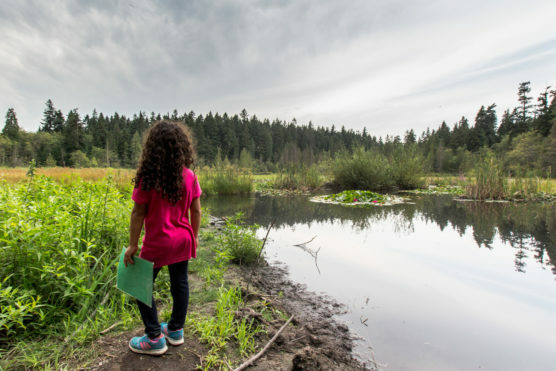 Read the Wetland Wildlife Teacher Information Package for information on curriculum connections, meeting location, preparing for the program and more. 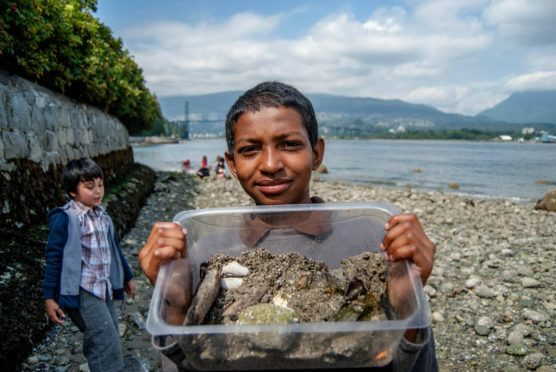 How do invasive species affect the balance of Stanley Park’s delicate ecosystems? 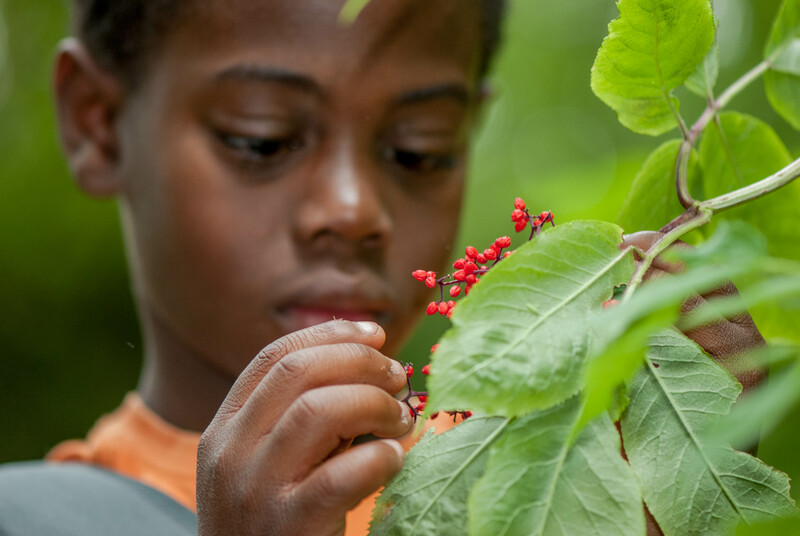 Join us on a fun, fact-filled quest to find out what impact invasive plants have on biodiversity, and consider the role humans play in protecting our ecosystems. Put on some gloves and take direct action to remove invasive English ivy from Stanley Park. Read the Introduced Invaders Teacher Information Package for information on curriculum connections, meeting location, preparing for the program and more. * Please note that this program is unavailable for non-school groups. 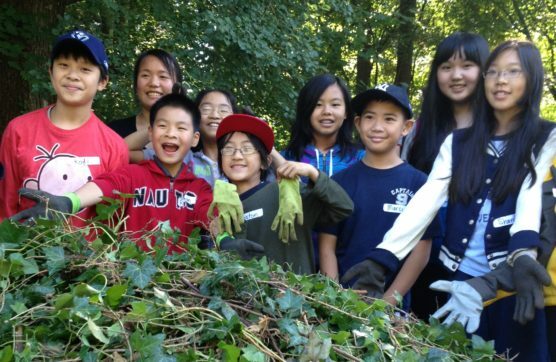 Explore wilderness survival in Stanley Park and immerse your class in this team-based adventure. Imagine yourself lost in the woods; would you know what to do? Learn the essentials of what humans need to survive. Try your hand at knot tying and practice your new skills while building your own wilderness survival shelter. 2-hour program for students in grade 4-7. Stanley Park Survivor happens as a whole class. Read the Stanley Park Survivor Teacher Information Package for information on curriculum connections, meeting location, preparing for the program and more. Are you as big as an eagle? What lives at Lost Lagoon? Do herons have an easy life? Do salmon visit Stanley Park? Discover the answers to these questions and more while leading your own adventure with our easy to use Discovery Kit. Bring your class for a self-guided half-day Park Program or extend your field trip for the day. This is a great option for two classes from one school who want to share a bus. Read the Discovery Kit Teacher Information Package for more information on where to pick up the kit and preparing for the program.